"They want to put a baby in you." 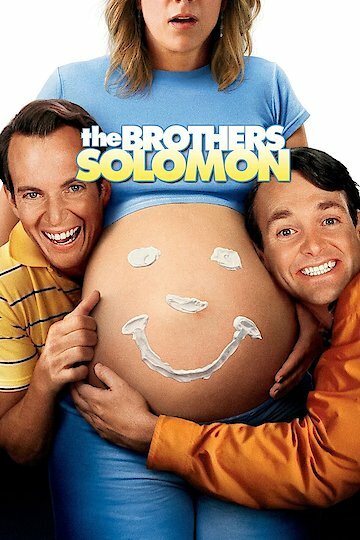 The Brothers Solomon is a story of two socially inept, yet kind-hearted grown-up siblings, Dean and John Solomon. Bound to be forever single, their stupid, klutzy endeavors at finding romantic interests always explode in their faces. One day, the Solomons get the upsetting news that their dad is on his deathbed - and to confuse matters, he shows that his last wish includes having a grandchild. John and Dean are glad to oblige - but where on the planet will they find a mother for this newborn child? Suddenly, their sentimental urgency duplicates, and both siblings go on a nutty, silly journey to discover the young lady they always wanted and the mother of their future kids. The Brothers Solomon is currently available to watch and stream, buy on demand at Amazon, Vudu, Google Play, iTunes, YouTube VOD online.